Brigadier Gerard is an officer in Napoleon's army-recklessly brave, engagingly openhearted, and unshakable (if not a little absurd) in his devotion to the enigmatic emperor. 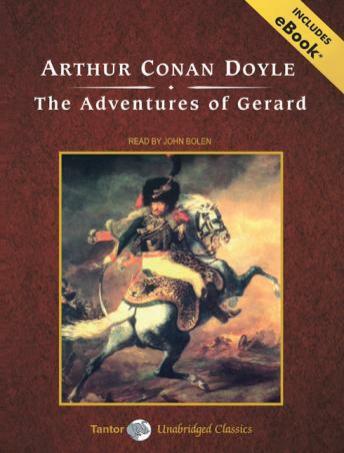 Arthur Conan Doyle's wonderful stories about the brigadier are as funny as they are hair-raising, and the brigadier himself has long since found a place in the hearts of his admirers second only to that of Doyle's incomparable Sherlock Holmes. Gerard's comic adventures are sure to find new devotees among the ardent fans of such writers as Patrick O'Brian and George MacDonald Fraser.